based upon changes in the local (home, office, store, etc.) humidity and temperature. On the individual furniture piece there may be slight defects, such as knots,and shakes (small cracks in the surface of the wood). Some minor shrinkage may sometimes occur. These natural irregularities in pine enhance its overall uniqueness. Do not place this product next to a radiator or in direct sunlight. Wood is a natural product and will expand if subjected to damp and will shrink and may crack if subjected to heat. 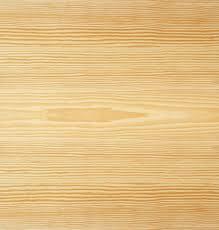 This product is made of pine, which is a timber that is common for furniture, but susceptible to temperature changes. With pine furniture it is recommended that an even room temperature be maintained with no sudden temperature fluctuations, up or down. Do not use soap and water or detergents of any kind on this product for cleaning. To maintain the characteristic finish on this furniture, do not use aerosol sprays or any polish containing Silicon. If unsure, try on an area that’s not seen and look for reactions. There is a natural stain and finish on this furniture and it will react to most manmade products. It will from time to time require the surface re-treating again to maintain its character. You can easily do this yourself using block wax (unperfumed), rubbing it over the whole item, following the manufacturers instruction. After treating your furniture, you may notice it is slightly more waxier than previously. This is normal because wood is a natural product that breathers and absorbs depending on room temperature. Furniture made from Indian Sheesham is provided in its natural state. It will appear polished due to the natural oil occuring in the wood. You should wipe your furniture with a damp cloth to remove any dust from manufacturing. The oil on the surface will evaporate after a few days outdoors. It is the oil that remains below the surface that gives the wood its durability. Some of these oils may bleed out following the first few rainfalls, and initially, you will want to bring your cushions in when the furniture is wet. Once the furniture has begun to form the silver-grey patina, it is no longer necessary to bring the cushions indoors. To clean the furniture without removing the silver-grey patina simply use soap and water. Should you want to maintain the golden brown color, we recommend a teak sealer be applied every 12-18 months. Wood sealers are usually solvent based with water-like viscosity containing mould, ultra-violet light and moisture protection. The Wood protector should be applied after cleaning and drying out your furniture. We do not recommend painting Indian Sheesham as the wood’s natural oils can affect how the paint adheres. Teak has qualities unlike any other wood as it has the ability to withstand the rigors of adverse climates. Click here for tips and furniture care products.